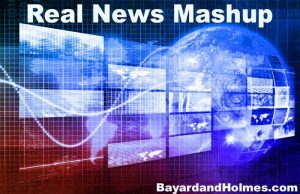 Real News Mashup is a compilation of articles that I consider to be interesting, informative, or both. Please feel free to share non-political articles of your own in the comments. Perhaps if we work together, we can remember that the world is bigger than the propaganda storm. Every country is only nine missed meals away from civil unrest. Maduro’s Venezuela has been starving to death far longer than that, and not just the poor. Emaciated zoo animals are being slaughtered for food, and over a million refugees have fled to Colombia and surrounding countries simply seeking a meal. Maduro is still in power because he purchased the support of the military by giving it the task of food distribution, and because private citizens have no means to fight back. They must support Maduro or literally watch their children starve. Bayard & Holmes fully support the people of Venezuela in their fight to overthrow the holocausting Maduro dictatorship and in their dream of seeing their children know a day without hunger. Unfortunately, all overthrows don’t lead to Utopia. We can only hope for the sake of the suffering people of Venezuela that something better replaces the malcriado Maduro. US Navy Captain Rosemary Mariner was the first woman to earn her pilot wings, the first female fighter pilot, and the first woman to command a naval aviation squadron. She passed on this week after many years of battling ovarian cancer. 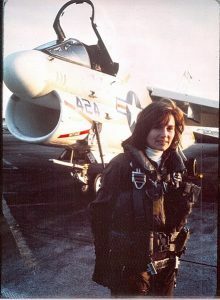 To honor her, the US Navy will perform its first all-female flyover during her funeral on Saturday. Rest in peace, Capt. Mariner, and on behalf of all Americans, thank you. It’s not the NSA we need to worry about when we bring these devices into our homes. When purchasing convenience with our privacy, we lose far more than we gain. Have South Africans never heard of Star Trek? You know–1968? All the best to all of you for a warm meal and a satisfying kiss.